Runtime: 4 hr. 30 mins. The big, the bad and the undefeated collide when America's heavyweight champion Deontay Wilder puts his WBC title on the line against lineal champ "Gypsy King" Tyson Fury. Brought to you LIVE in movie theatres by Fathom Events and Showtime PPV. 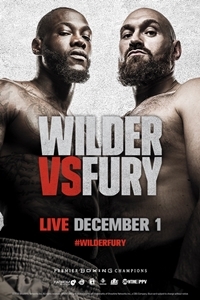 Wilder vs Fury tests the raw power of Wilder against the unmatched size and mobility of Fury. America's only heavyweight champion since 2007, former Olympian Wilder has won by knockout in all seven of his WBC title defenses. Fury, the "Gypsy King," is a former IBF, WBA and WBO heavyweight world champion who currently holds boxing's coveted lineal heavyweight title.